Pioneers in the industry, we offer Floor Stone Coating, Marble Stone Coating, Decorative Stone Coating, Plain Stone Coating and Stone Floor Coating from India. Using a simple process of applying water to different surfaces we can learn how each surface absorbs liquids. 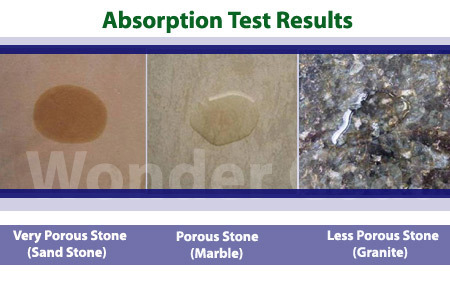 Apply the water Wait 15 minutes See and evaluate the results Remember most stone problems are related to moisture, such as: Rust, mold, algae, efflorescence, discoloring, spawling, freeze thaw, erosion, etc.